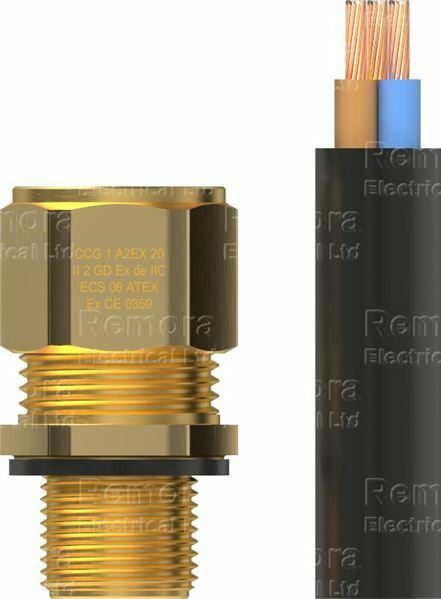 The A2EX Compression Gland is designed for use with unarmoured, elastomeric and plastic cables in hazardous areas. Incorporating specially formulated dual elastomeric displacement seals giving superior cable retention and explosion protection. Provides an increased safety EExde IIC seal on the cable sheath to IP68 if fitted with a sealing washer. • Seals the cable sheath to IP66 / IP68. • Specially formulated elastomeric seal.